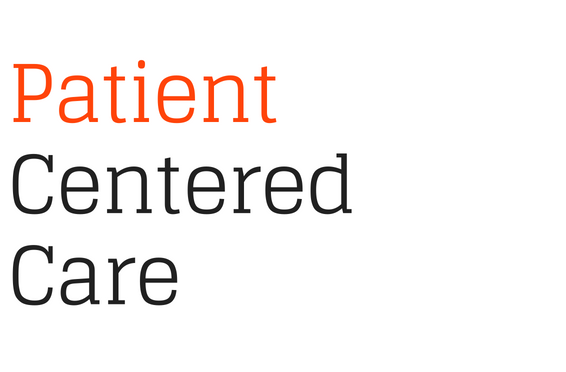 Patient-centered care is a healthcare approach that is vital in any discussion of ethical and quality healthcare. Patient-centered care is “the practice of caring for patients (and their families) in ways that are meaningful and valuable to the individual patient. It includes listening to, informing and involving patients in their care.” The Institute of Medicine (IOM) defines patient-centered care as: “Providing care that is respectful of, and responsive to, individual patient preferences, needs and values, and ensuring that patient values guide all clinical decisions.” The Pickler Institute gives eight principles of patient-centered care: 1) Respect of patients’ preferences 2) Coordination and integration of care 3) Information and education 4) Physical comfort 5) Emotional support 6) Involvement of family and friends 7) Continuity and transition and 8) Access to care. Patient-centered care is certainly an important piece of quality healthcare and an important approach in empowering patients to take an active role in their care plan and treatment. However, when talking about addiction treatment, there seem to be some misconceptions or concerning trends related to patient-centered care. In short, addiction is a brain disease that impacts that patient’s ability to function because their brain has been hijacked, their pleasure center is damaged, and they are constantly searching for relief, comfort and pleasure. ASAM describes it as an “increased hunger for drugs or rewarding experiences.” There is impairment of behavioral control, diminished recognition of significant problems of their behaviors and a dysfunction of emotional responses. Patient-centered care is based on the principles of a patient being involved in their treatment and that treatment plan being based on the patient’s preferences, needs and values. However, what if the patient’s preferences, needs and values are compromised based on having a brain disease that impairs their ability to think rationally, to deduce what is best for them, and leaves them with impaired behavioral control, diminished recognition of their problems and situations and an irregulated ability to respond emotionally? What if the patient is not rational or have impaired ability to make decisions? This is the Catch 22 that arises when discussing the approach of patient-centered care when it relates to addiction treatment. Often the patient is the last one to know what they “need” or what is best for them. Treatment professionals, family members, friends, employers and others are often more informed and objective in terms of what an addicted patient needs than the patient themselves. However, addiction treatment also must be respectful of patients, treat them with dignity and respect. They should be involved in their treatment planning and there should be honesty and transparency between the patient and their treatment team. There seems to be a misconception with regards to patient-centered care when examined within the context of addiction treatment. Too often therapists, treatment centers or other professionals seem to believe that patient-centered care means that the patient gets to direct their treatment. That it’s the job of the therapist or the treatment center or the professional to simply “give options” to a patient and then be agreeable to what the patient wants to do, with virtually no pushback or challenging. Or treatment centers will not employ the use of family or other relationships to try to help a patient understand what is needed and guide them into making a more rational decision in terms of their treatment. A doctor would never allow a patient with Stage 4 cancer to simply choose a treatment (or lack of treatment) plan because it was the easiest, more painless or more comforting option. They would push back with evidence-based approaches that statistically support the best possible outcome to do their job and attempt to save that patient’s life. Addiction treatment should be no different, but far too often patients refuse clinically appropriate treatment options and recommendations with responses like “I don’t want to do that” or “I think I know better” and treatment professionals let it be because, in their minds, that’s patient-centered care. It seems that in addiction treatment, many have lost sight of the primary purpose of treatment, saving and enriching patient lives. There is absolutely a necessity to have addiction treatment focus on patient-centered care but there is also a need to be mindful that addiction treatment professionals are utilizing all the tools at their disposal to make sure that a patient gets the best, most appropriate clinical care that is called for in their specific situation and not just allowing a patient that is suffering from a brain disease that has impaired their thinking, judgment, decision-making and value system to dictate their own treatment. If you or someone you know needs help for addiction or dual diagnosis issues, please give us a call. Maryland Addiction Recovery Center offers the most comprehensive dual diagnosis addiction treatment services in the Mid-Atlantic area. If we aren’t the best fit for you or your loved one, we will take the necessary time to work with you to find a treatment center or provider that better fits your needs. Please give us a call at (410) 773-0500 or email our team at info@marylandaddictionrecovery.com. For more information on all our drug addiction, alcohol addiction and co-occurring disorder services and recovery resources, please visit our web site at www.marylandaddictionrecovery.com.